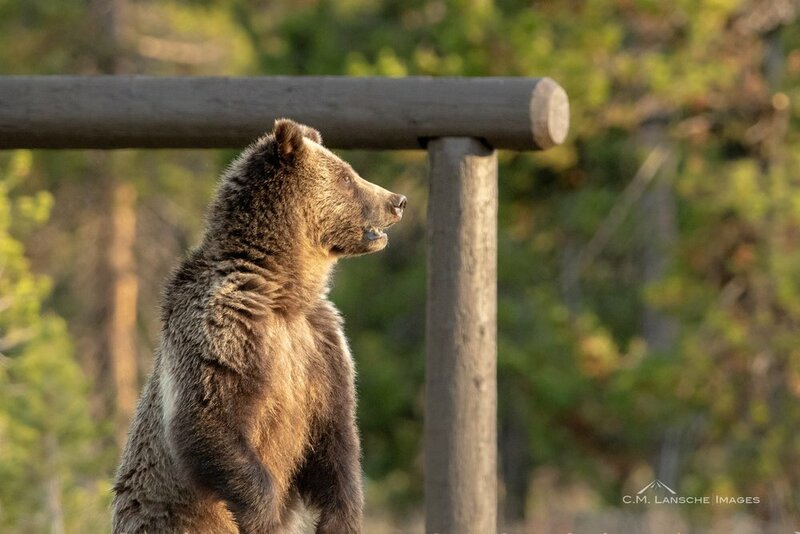 A grizzly encounter that is challenging to describe... As always, thanks for looking! It's been too long since I've followed light on the river... and tonight my heart was full with gratitude during an evening walk along the banks of the upper Henry's Fork as another early September day closed with a lovely sunset and a trace of autumn color in a lonely cottonwood tree upriver. I look forward to spending more time in the field during my favorite month of the year and wonder what the season will bring. It's been a while since I've seen a grizzly so it was a delight to spot this young bear recently as it moved through tall grass and brush in search of a meal. 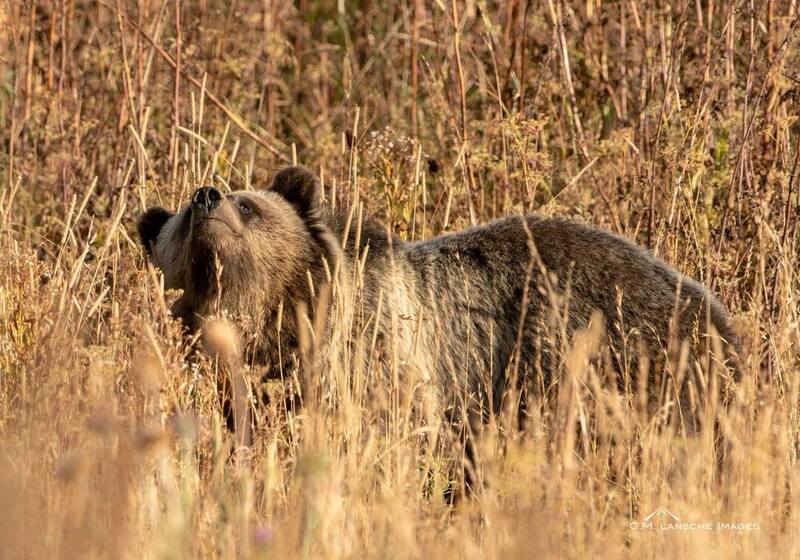 Its shoulder hump and rump were the only visible parts of the bear until a quick head-raise to sniff the air yielded a brief facial glimpse before it disappeared amongst tangled tones of early autumn. September 2018. It's always exciting to explore new areas and such was the case last evening as I hiked into this high drainage on the northwestern slope of the Teton Range. I've been keen to explore this area for some time now in hopes of finding wildflowers and a lesser known perspective of the Tetons. But after a couple of hours of hiking up a long and heavily forested ridge, I almost gave up on locating a clearing with a view before running out of light. 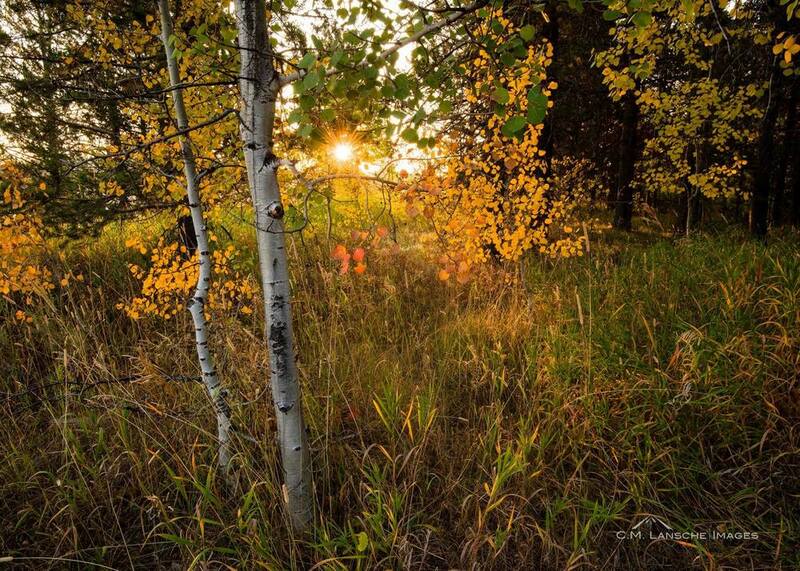 But then, as luck would have it, I could see the light of the skyline through the timber and soon broke out into this meadow just before sunset. 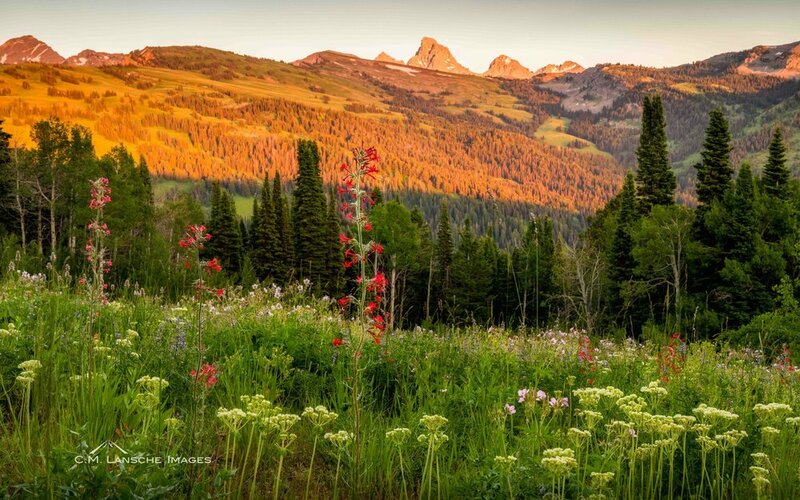 While this was more of a scouting mission that a photo quest, I was delighted to experience this view and these gorgeous high-country wildflowers. And walking out in the dark singing my bear song added to the solo adventure. I do love summer in the high country. As always, thanks for looking! 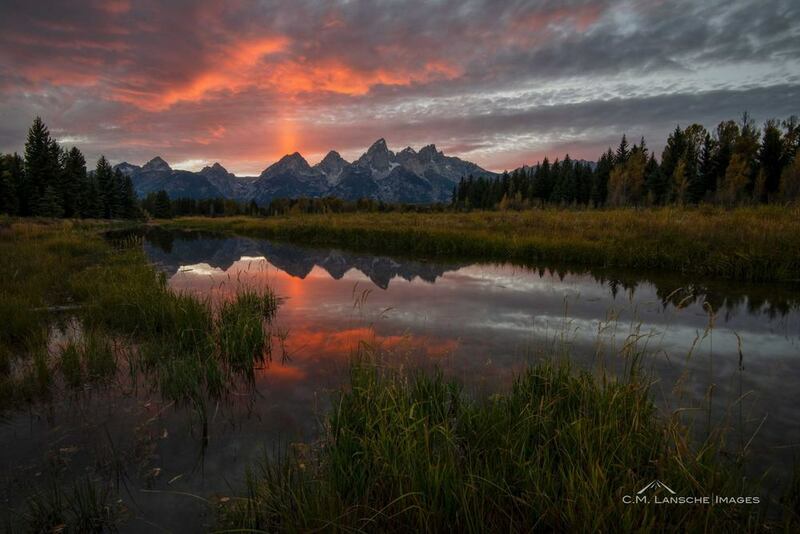 Teton Range, Idaho/Wyoming. July 15, 2018. Warning: Graphic image depicting the struggle for survival during the harsh Yellowstone winter. 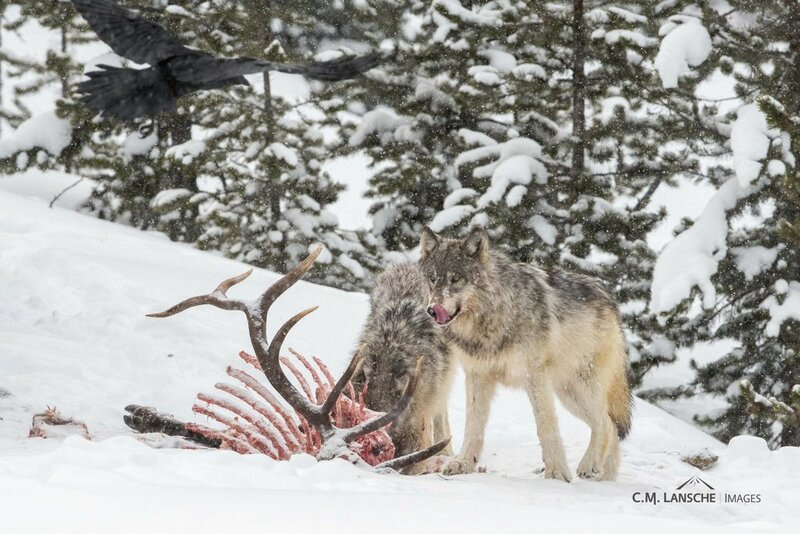 As hot and dry temps settle in over the Island Park Caldera, thought I'd throw back to a cold January morning in Yellowstone when members of the Wapiti Lake wolf pack shared a meal after bringing down a bull elk the previous day. Noting the symbiotic relationship between wolves and ravens, which have been reported to occasionally lead wolves to potential prey in order to share in the meal. As always, thanks for looking! Yellowstone National Park, Winter 2018. 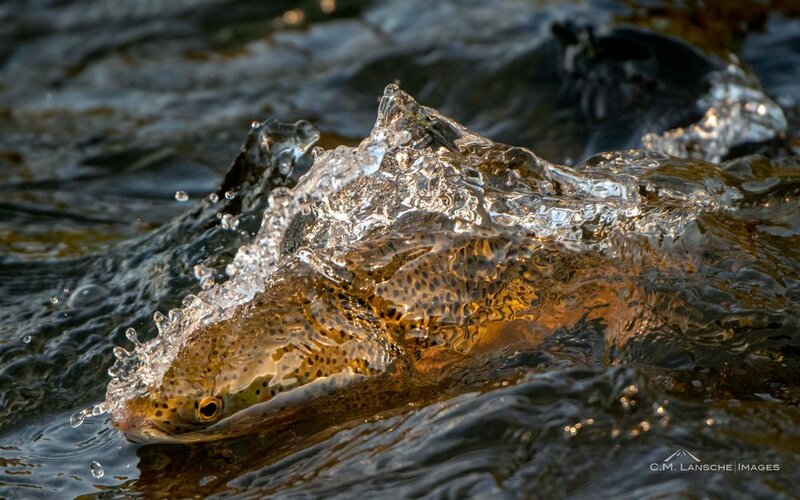 A large Henry's Fork Rainbow on the attack. 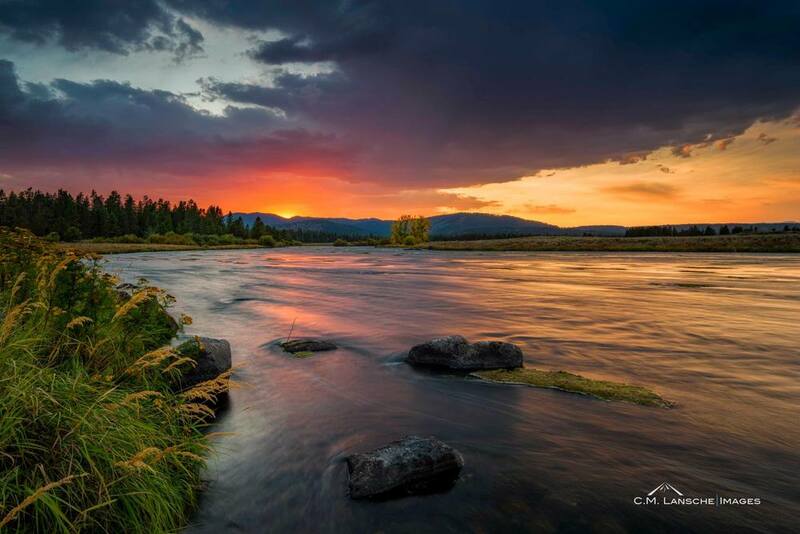 Wishing you all a great weekend from Island Park, Idaho! July 2018.